Proudly parading my paycheck to the bank was fun. Now that I know about direct deposit, paycheck parading is passé. The hardest part of setting up direct deposit was finding my checkbook…I’m a cash lover. 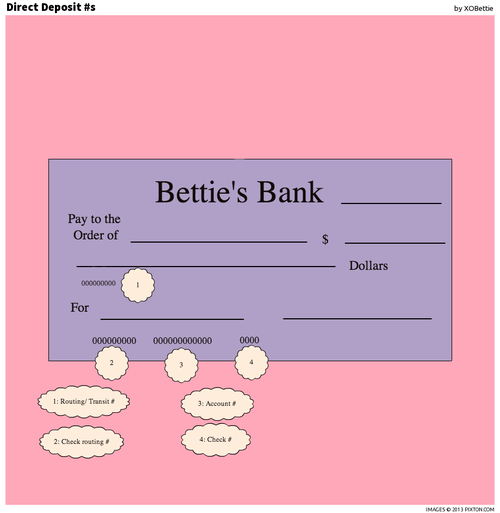 Checks have the open sesame #s needed for direct deposit: routing number, transit number, and account number. Once HR updated my file with these #s, presto my $$ whizzes to my account every other Friday at 5pm.